Did you know that NASA research supports the efficacy of PEMF therapy? While astronauts have been sent to space for decades, you probably weren’t aware that astronauts would often feel sick upon their return to earth. NASA researched this for years, struggling to figure out what it was. How did NASA determine what the real problem was, and how to fix it? This article is going to share some valuable insight into NASA research, and how this supports efficacy of PEMF therapy. PEMF therapy may sound very high-tech, but it isn’t. In fact, this therapy is nothing more than a quick look at the earth’s magnetic fields. These fields have always been critical to the earth and everything in it. It wasn’t until astronauts kept returning home ill and exhausted that NASA began to research these magnetic fields and their affects. 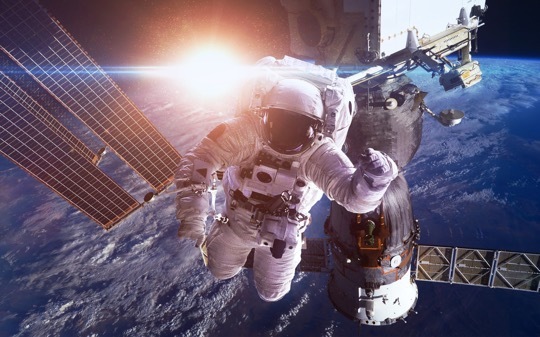 Researching for many years led to the discovery that the lack of the earth’s magnetic field was making these astronauts ill and drained of their energy. NASA decided that it was time to add pulsating electromagnetic fields to the space capsules. Once NASA did so, this was no longer a problem. This research leads to the primary reasons as to why individuals desire to purchase a PEMF device. There are many reasons PEMF devices are used, but when the basic benefits of pulsed electromagnetic fields were made evident through the research of NASA, it was clear that more research was needed. Today, more medical doctors have been willing to try PEMF devices, and there are now more choices available on the market than there was 20 years ago. As a result, research has continued for those who suffer from chronic illnesses like Lyme Disease, Diabetes, and much more. What other ways has NASA research changed the way we view an alternative therapy like PEMF therapy? Researchers who work diligently with magnetic therapies are keenly aware that the earth’s electromagnetic field have changed dramatically in the last 200 years. Modern-day researchers of PEMF therapy have noticed that over the last 15 years, the earth’s magnetic fields have waned considerably. Along with this, researchers have noted that as these fields have waned, the increase in neurological diseases has nearly skyrocketed. Parkinson’s Disease, Alzheimer’s Disease, and other neurological diseases all seem to coincide with these changes in the earth’s magnetic fields. Thousands of scientific studies and independent studies have all shown that using these devices can improve your health over time. Those who get the best results are using these devices twice a day. While this science did exist prior to NASA research, it was certainly made more popular because of “NASA research”. Regardless of what you suffer from, PEMF therapy can be helpful. It is also good for overall general health, and may prevent illness. Before you purchase your own PEMF device, it is wise to do some online research before you make a final decision. As the interest in PEMF therapy grows, more devices have been put into the marketplace. Make a list of any health problems you have, and compare devices as well as their benefits and financial investment. You’ll be able to thank NASA research for feeling better.